Race It: Lucky Leprechaun 7k + A Race Entry Giveaway! Leave it to the luckiest race in town to keep St. Patty’s Day festivities going through the weekend! 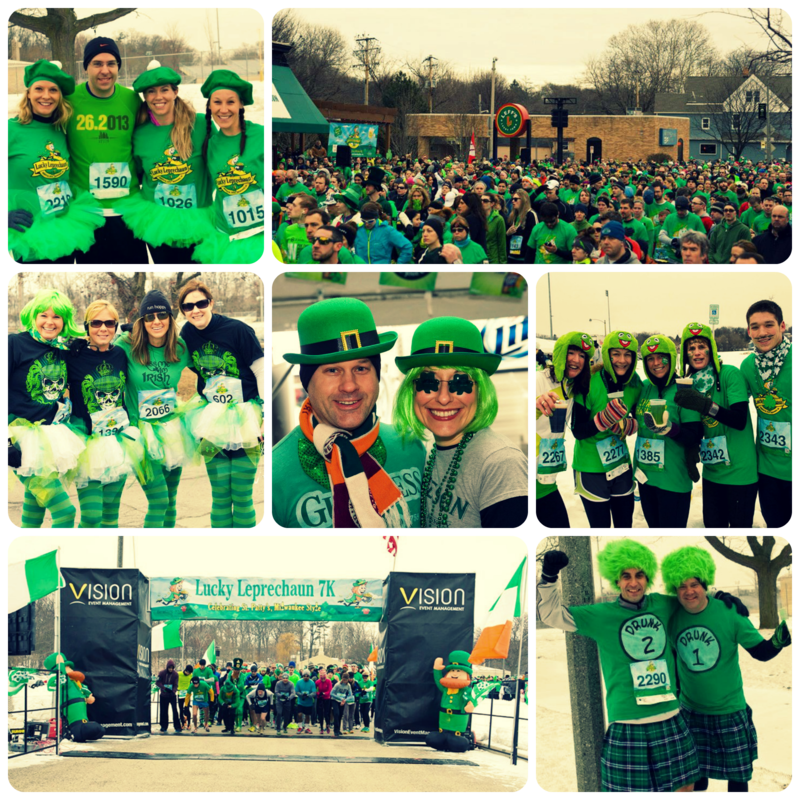 Below, Sandra Chambers from Vision Event Management gives us the scoop on this year’s Lucky Leprechaun 7k race. 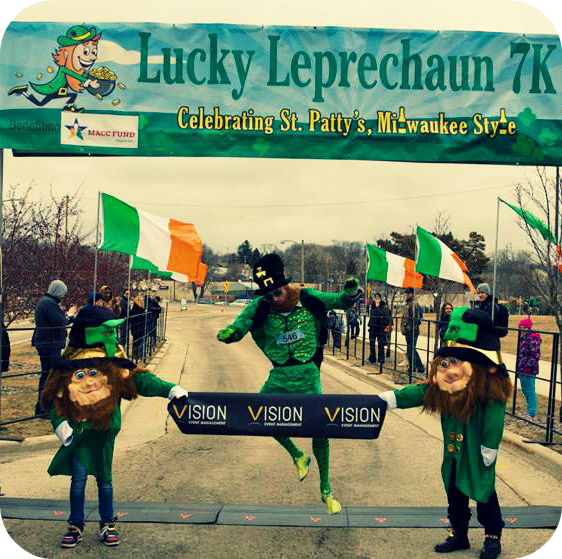 The 3rd Annual Lucky Leprechaun 7K will take place on March 21st beginning at 10am, when participants (most of whom will be dressed in their best green gear) with run or walk through Wauwatosa and Hart Park. After the race, participants keep the St. Paddy’s festivities going at the post-race party hosted by Legendary Leff’s Lucky Town. Here, participants will get their two complimentary beers and enjoy music from the band, Talleymoore. The race is open to all ages and benefits the MACC Fund. Is there anything new or different happening at this year’s race? What is the course like and do you have any tips for runners hoping for a fast time? If you’ve never run a 7K, then you are guaranteed to PR! What can you tell us about the various contests on race day? The Out Run the Leprechaun Promotion is presented by Performance Running Outfitters – if you think you can run faster than a leprechaun, prove it! The top five individuals who can out run Zippy, our Leprechaun, will receive a $20 gift card to Performance Running Outfitters. Get your training shoes on and “Out Run the Leprechaun”! We invite all participants to dress in their St. Patty’s best! Wear your St. Patrick’s Day themed outfit and upload your photos to our Facebook page after the event. Winners will be mailed a prize. Lucky #7, #77 and #777 Finishers! Have you been skillfully training to cross the finish line as finisher #7, #77 or #777? If you cross the finish line as one of these finishers, you will become the lucky winner of many gift certificates, provided by Performance Running Outfitters, Cafe Hollander, Leff’s Lucky Town and more! Be sure to check your results and come to the finish line to claim your prize if you happen to be one of these finishers! 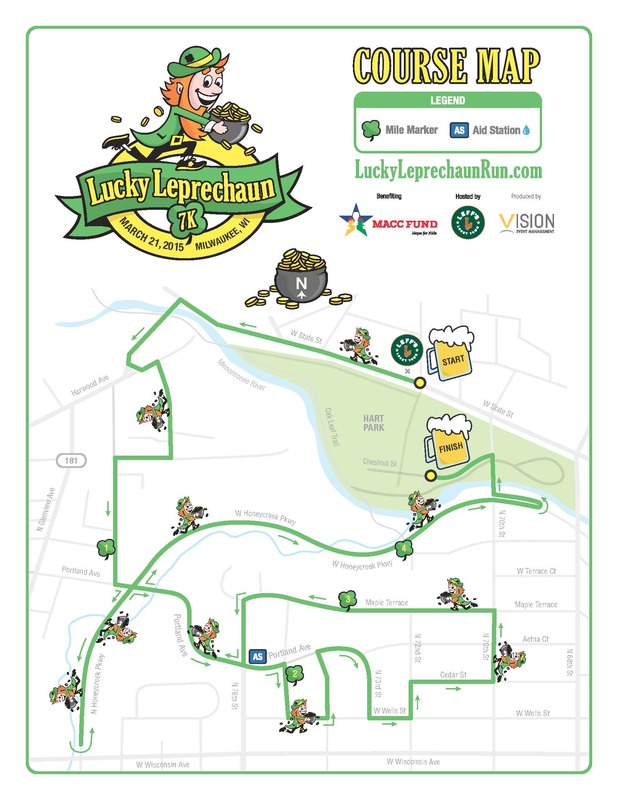 Each participant gets a 2015 Lucky Leprechaun 7K participant shirt, entry into the 7K race, entrance into the Leff’s Lucky Town post-race party, participation in all the festivities and contests and 2 FREE BEERS! When and where is packet pickup this year? Who is this year’s charitable partner? The MACC Fund is the official charity partner for the Lucky Leprechaun 7K. Founded in 1976, Midwest Athletes Against Childhood Cancer, Inc. (the MACC Fund) is dedicated to funding childhood cancer and related blood disorders research. Their goal, with your help, is to find a cure for childhood cancer and related blood disorders by providing critical funding for research. The MACC Fund gives the Gift of Hope through Research. Every penny counts. Every donation matters. Why? Because every child battling cancer or a blood disorder is someone’s child, someone’s sibling, someone’s friend. Every donation gives hope to a child fighting cancer or a blood disorder. What race day ritual, item of clothing, mantra, etc. helps you feel lucky while racing? Best of luck to all who enter. We’ll announce the winner on Wednesday, February 18. Race It: Lake Michigan Trail Marathon + Race Entry Giveaway! Offering a gorgeous course along the South Shore lakefront and the camaraderie of friendly runners, the Lake Michigan Trail Marathon is a fall race not to be missed. Registration for the 2015 event opened yesterday. The race will be held Sunday, Sept. 6 and will start and finish at Sheridan Park. Below, Race Director Chris Ponteri gives us the scoop on this year’s race. 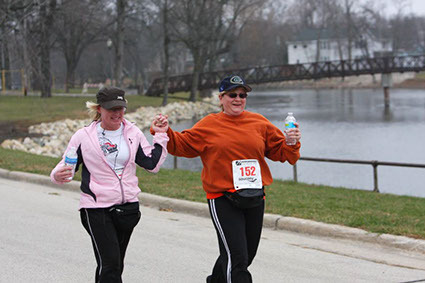 Can you tell us a bit about the Lake Michigan Trail Marathon? What makes this race different/unique? 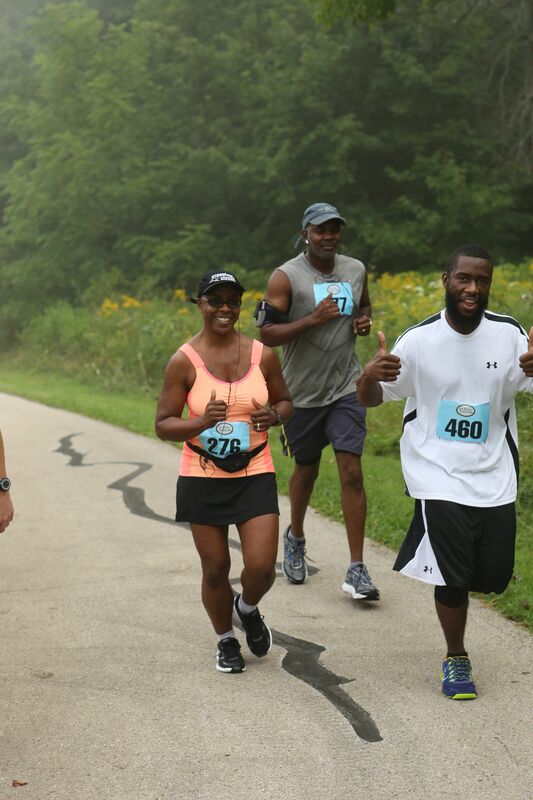 The Lake Michigan Trail Marathon brings the trail-running experience to the city. It features some of the most scenic trails in the area, all located within close proximity to the City of Milwaukee and Lake Michigan. We had many people come up and tell us after last year’s race that it is was the most beautiful course they’ve ever run. Are there any changes from last year’s race? For the most part, everything will be the same. We learned some things from an organizational standpoint last year that will require changes this year (like better course markings in the wooded areas), but for the most part, the event will look the same. We are just hopeful that there won’t be a dense fog so runners can actually see the lake. Can you tell us about the distance options? There is a Marathon, Half Marathon, 50k and 20-mile training run. What is the course like? And any tips for runners hoping to PR? It’s not a very hilly course, but since there are trails and some beach it’s not real fast. If you are looking to run a PR, it might not be the best race for you. I wouldn’t say it’s a difficult course either, but not easy. Being a trail race, what should runners expect compared to a road race? Any tips for training for a trail race? The biggest difference between a trail race and a road race is the laid back atmosphere. Many of the runners are there just to experience nature in a race situation, and are not always competitive about it. The best way to train for this race is to make sure you get out on the course at least a few times to make sure you know what you’re in for. What types of aid stations will be available on the course? We will have aid stations every 2 to 2.5 miles with a variety of items including water, a sports drink and food. Will overall and/or age group prizes be awarded? The top three male and female finishers in each event, except the 20-mile training run, will get a nice plaque, and the top three male and female runners in each age group will get medals. All runners will get a high-quality technical shirt and goodie bag. All finishers will get a medal. What’s your best tip for running or racing on the trails? 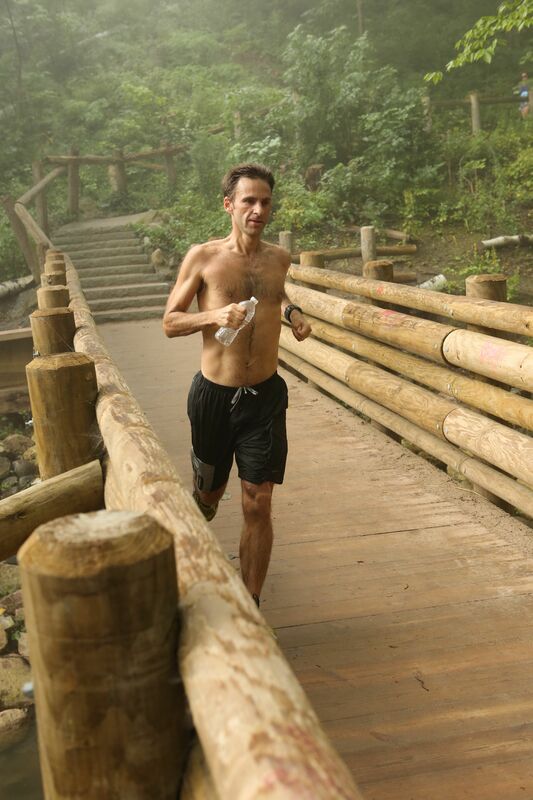 If you’ve never run or raced on trails, tell us why you want to give it a try! Best of luck to all who enter. We’ll announce the winner on Tuesday, February 10. Race It: Drumstick Dash + A Race Entry Giveaway! Gobble gobble! A slice of pumpkin pie is about 300 calories. But you can burn that pie off in advance at this year’s Drumstick Dash! Below, Sandra Chambers from Vision Event Management, tells us what to expect at this year’s event + a few tweaks that should make this year’s race experience the best yet! 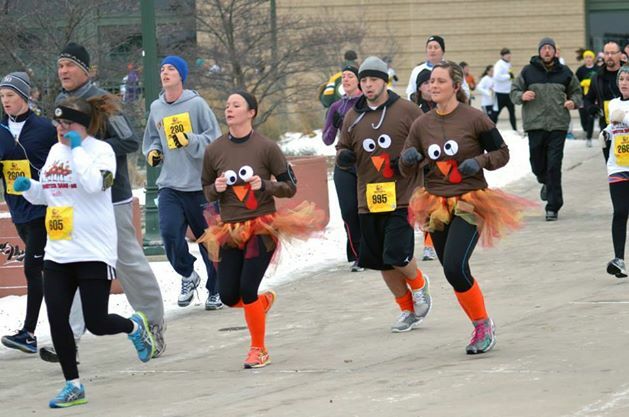 This is Drumstick Dash’s third year in MKE – can you tell us a bit about what makes this race a Thanksgiving favorite? The Drumstick Dash, presented by Sendik’s, is special because of all the people in Eastern Wisconsin that the race benefits. 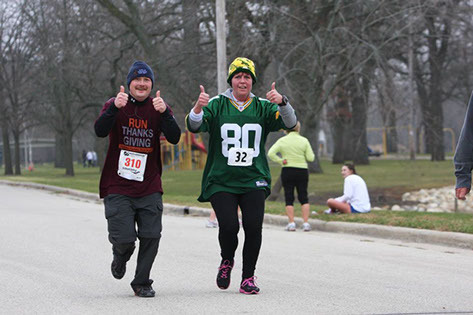 Our slogan is “Move Your Feet So Others Can EAT” and we partner with Feeding America Eastern Wisconsin whose mission is To Feed The Hungry – that’s what this event is all about. It is quickly becoming a Thanksgiving Day tradition for families (along with their guests from out-of-town) to participate in the Drumstick Dash and our Food Drive as the perfect start to the day. You also can’t beat the atmosphere on Thanksgiving morning at a run … Everybody is so happy, anxious and just ready to get moving knowing that the turkey and pie will taste so much better having burned some calories! We hear this year’s course is a bit different along with the way the race start will work – can you tell us a bit about these changes? We took the feedback from last year’s participants and made improvements to the course for this year. We still start and finish at the Brewer’s stadium but we’ve tweaked the course to give participants more room to maneuver. We’ve also divided participants into four new divisions: Runners, Runners w/ Strollers, Walkers and Walkers w/ Strollers to make sure those who are aiming for a PR (or to outrun Dash, the Drumstick Dash mascot) will be at the front of the line. We offer a reduced entry fee for children 5-12 years old and kids ages 4 and under are free! Parking for Packet Pickup and on Race day is FREE! Packet Pickup is Wednesday, November 26 (12-6pm) & Thursday, November 27 (7-8:15am) at Miller Park. All participants will receive the 2014 Drumstick Dash long-sleeved shirt, which is in the design process right now! This year, we will once again have our “Out Run the Turkey” Promotion presented by Performance Running Outfitters. 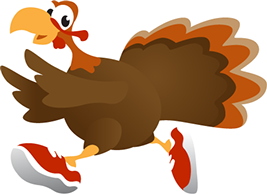 For the runners who think they can outrun Dash, our turkey, we say prove it! 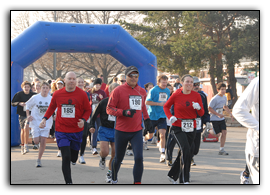 The top 5 individuals who can outrun Dash will receive a $20 gift card to Performance Running Outfitters. The next 10 individuals will receive a pie provided by Sendik’s. What is the Outta Town Dash Around option? How can people sign up? The Outta Town Dash Around is new this year. 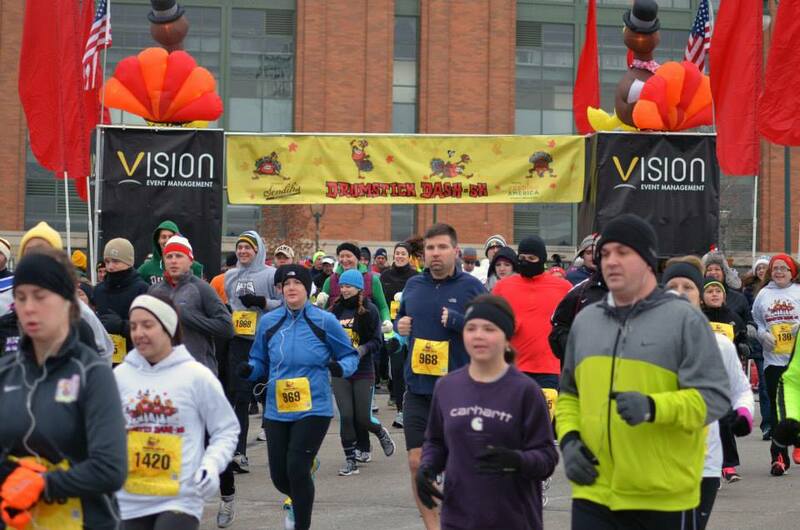 We know many people travel for Thanksgiving but still want to participate in the Drumstick Dash. Now they can by registering at www.DrumstickDashMilwaukee.com for the Outta Town Dash Around! Registration includes a race shirt which is mailed to you before Thanksgiving. The idea is to take your shirt with you and run where you are while feeding the hungry and homeless in Milwaukee. Also, if you take a picture in your Dash shirt on Thanksgiving morning – wherever you run – and upload it to our Facebook page, you’ll be entered to win a prize! Feeding America Eastern Wisconsin is a food bank. Their warehouses in Milwaukee and the Fox Valley distribute more than 22 million pounds of food a year to 1,000 pantries, meal programs and other nonprofit agencies that serve 330,000 people in eastern Wisconsin. Since their first donation of a bushel of apples, they’ve distributed more than 330 million pounds of food to the hungry in Wisconsin! Can you tell us a bit about the raffle and how runners/walkers can earn raffle tickets? What are the raffle prizes? Our Food Drive and Donation Collection is an important focus for us and is a great way for participants to help feed the hungry as well as win prizes in the raffle. We encourage all participants to bring their Food/Monetary Donations on Race Day. $1 = 5 Meals for someone in need! Participants will receive 1 raffle ticket for every $1 or food donation item. Volunteers will be on hand to collect food and issue raffle tickets. Hang on to your raffle tickets and after the race check back at Miller Park to see if you are a lucky winner! Prizes include pies, turkeys and gift certificates. 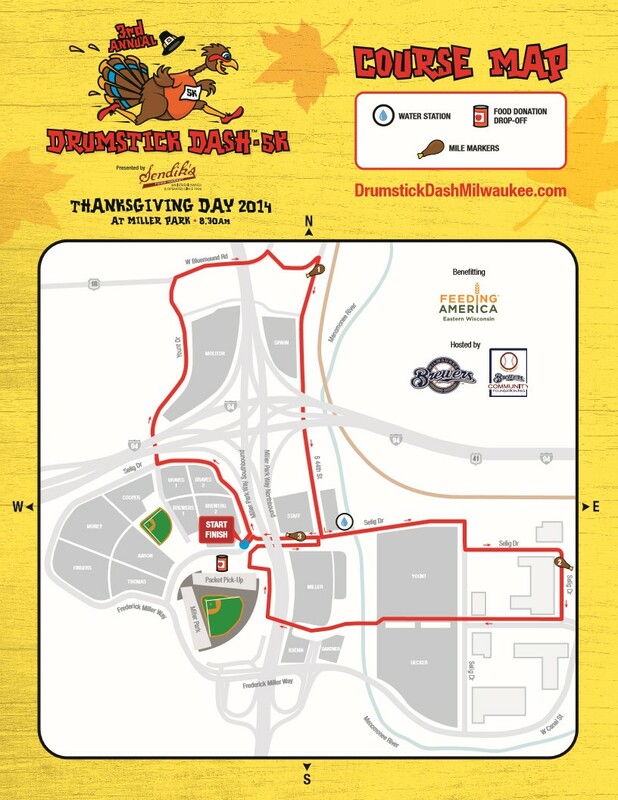 We are thrilled you are joining us on Thanksgiving morning for the third annual Drumstick Dash 5K! Sendik’s is excited to again be part of this Milwaukee Thanksgiving tradition, and we’re very happy to be able to support our friends at Feeding America Eastern Wisconsin. Please remember to bring your non-perishable food items on race day and help us feed the hungry in our community. See you on the course! Thanks for chatting with us, Sandra! Now for the part you’ve been waiting for … how would you like to win one of two race entries to this year’s Drumstick Dash? To enter, leave a comment on this post and tell us something you’re thankful for this year. Best of luck to all who enter the giveaway. We’ll announce the winners on Monday, November 10! Race It: Around The World In 5k + A Race Entry Giveaway! It’s not often we’re offered a trip around the world – but one upcoming local race offers just that! 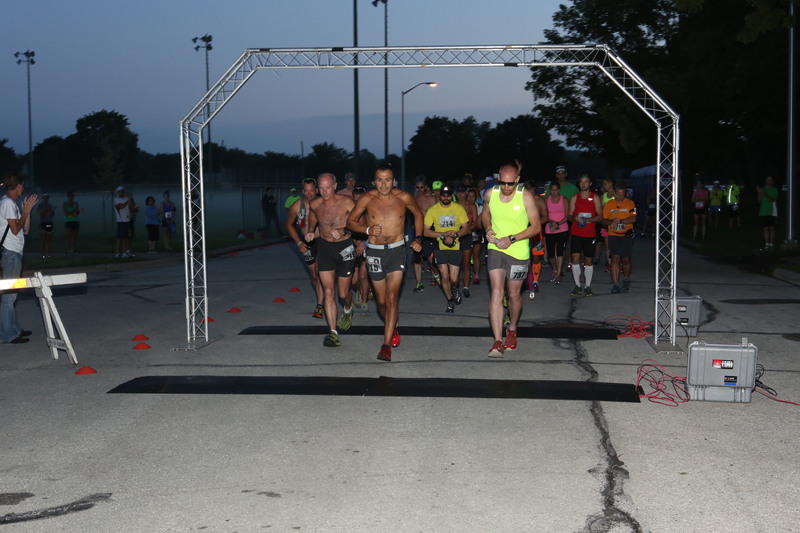 Around the World in 5k is a great opportunity to capitalize on a fast course in cool temps. And after the race, you can celebrate your new PR at the Holiday Folk Fair and indulge in some of its many tasty treats. Below, Race Director Chris Ponteri tells us about this year’s course and participant perks! Can you tell us a bit about the Around the World 5k and what makes the race unique? It’s a unique race in a few ways. First, runners get to take a lap on the oldest race track in the United States: the Milwaukee Mile. Second, it’s held in conjunction with the Holiday Folk Fair so participants can stick around after the race and get free admission to a very fun (and tasty) event. Other than some minor changes to the course, it will be the same as past years. What is the course like? Do you have any tips for runners hoping to PR at the race? The course is flat and fast, and it’s held at a cool time of the year so it could be a perfect opportunity for a PR! What does it mean to have a USATF-certified course? How does a course get certified? This means that the course has been measured by someone who adheres to USATF-certification standards. It pretty much means that the course will be exactly 5k (unless the start/finish location isn’t in the right place … like last year). The advance entry price is a bargain at $18. Participants get a high-quality shirt and free entrance to the Holiday Folk Fair. Can you tell us a bit about the race’s charitable partner? The Salvation Army is our charitable partner again and this will serve as a kickoff for their annual holiday bell-ringing campaign. Thanks for chatting with us, Chris! We know you won’t want to miss this race and lucky for you, we have one race entry to giveaway! To enter, leave us a comment on this post and tell us your favorite ethnic food! Best of luck to everyone who enters the giveaway. We’ll announce the winner on Wednesday, Nov. 5.